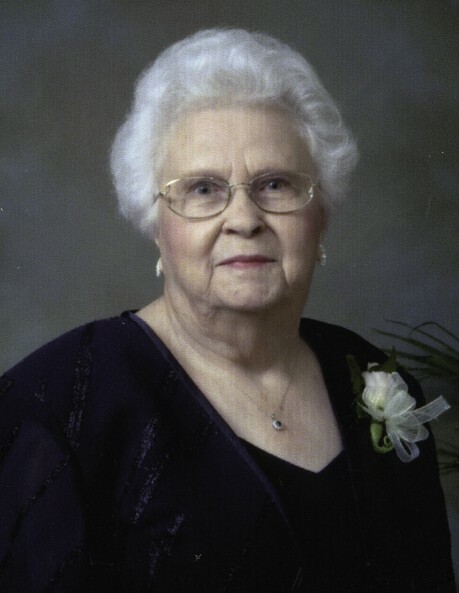 Lois Williamson, 97, of 663 Bass Lake Road, passed away Tuesday, January 22, 2019 at her home. Funeral service will be held at 2 PM, Saturday, January 26, 2019 at White Oak Baptist Church, 310 White Oak Church Road, Clinton, NC, with the Pastor Jeff Whitmire and Reverend Chris Butler officiating. Interment will follow in the White Oak Baptist Church Cemetery. The family will receive friends from 1 PM – 2 PM, just prior to the funeral service at the church, and at other times at the home. Lois, born in 1921 in Sampson County, was the daughter of the late Cleve Tew and Annie Naylor Tew. She was a homemaker and a member of White Oak Baptist Church. In addition to her parents she was preceded in death by; her husband, Freddie Earl Williamson, Jr., brothers, Modric Tew, Duffy Tew, Grover Tew, Elliot Tew, Devon Tew, Theldon Tew; and sisters, Eula Pope and Letha Butler. Survivors include; children, Glennis Sparkman and husband Al, Earl Williamson, and Connie Honeycutt and husband Kenneth; grandchildren, Angela Sparkman and fiancé Vincent Brezinski, James Sparkman, Janelle Theobold and husband Roger, Garrick Williamson, Ryan Williamson, Shawn Williamson and wife Sarah, Eric Honeycutt and wife Buffy, and Tina Whitmire and husband Jeff; great grandchildren, Bella and Kaylee Honeycutt, Haylee and Joshua Williamson, Kevin, Mason and Collin Theobold, and Cole Brezinski; Sister-in-law, Lyncia Hankins and husband Jim. The family request no flowers and that memorials may be made to 3 HC Hospice, 1023 Beaman Street, Clinton, NC 28328 or the American Cancer Society, 2202 Wrightsville Ave, Suite 111, Wilmington, NC 28403. Arrangements are by Crumpler-Honeycutt Funeral Home, 118 Fayetteville Street, Clinton, NC 28328.